We see paper documents everywhere, when you are working in an office or if you have a home office where you do your work. The only problem when dealing with papers every day is the disposal of unused or wasted pieces… This is where paper shredders come in handy. 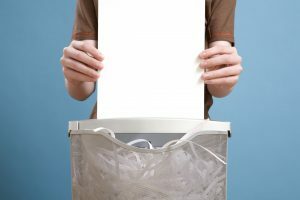 Paper needs to be shredded for an easy disposal, especially if there are too many sheets of it. For this reason, manufacturers on the market are introducing paper shredders to help paper shredding much faster. 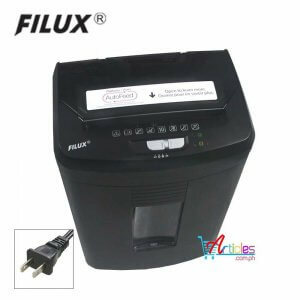 But there are too many types of paper shredders that you can choose from, and it is difficult to choose which is best for you. 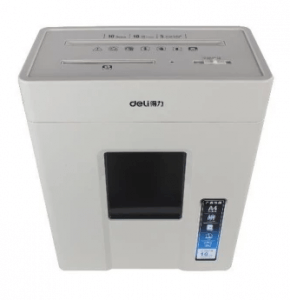 So here, we will give a guide on how to choose the best paper shredder and the top 10 best paper shredders of 2018. So get ready! 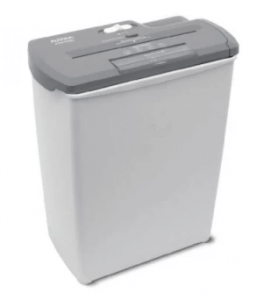 To start off, let’s first talk about the significant factors of how to choose the best paper shredders. This way, you will have a better understanding of how you should select the shredder that’s right for your everyday needs. 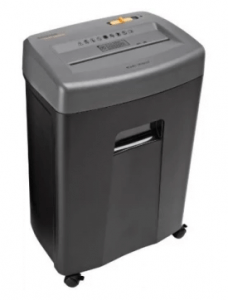 The first thing to consider when buying a paper shredder is the features of the machine. Questions you should ask yourself are such like, will its functionality be of great help? With this in mind, below are some great features you need to look into. 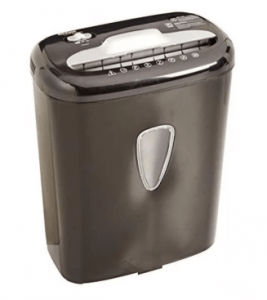 Generally speaking, paper shredders are powered by either manual or electric functioning. For manual shredding, a small amount of paper is ideal for this, while for electric, larger amounts are best. 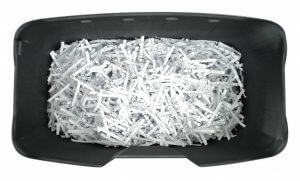 Manual shredding is cost-effective and does not use electricity. 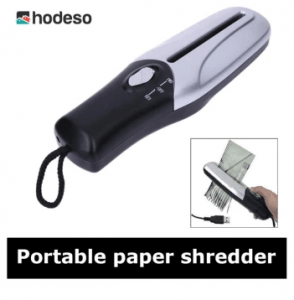 You only have to utilize the hand crank and control it while the paper is slowly being shredded. The concept is like sharpening a pencil with a traditional sharpener. 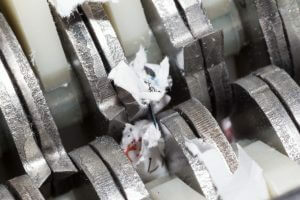 However, some disadvantages are also present in manual shredding. You have to put time and effort to manually do it, and the hand crank sometimes loosens after multiple uses. Electric shredding, on the other hand, makes it easier and faster for you. The machine does the shredding alone without you exerting force to make it function. However, it does use electricity, which inevitably adds to your bills. Nevertheless, it is still very useful with large amounts of paper shredding. The size of the machine also matters because you’ll be placing it somewhere in the office or at home. For example, if you are at home in which case you’ll need the shredder anywhere in the house, you should buy a paper shredder that is handy and small. But if you choose to place it in a fixed location, make sure it does not get in the way. 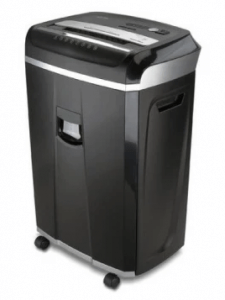 A huge electric paper shredder should not be a problem in the office if you choose to place it in a location where it does not bother other people. The key here is to know how you will use it and where at home or in the office it will be placed. The next question you should ask yourself is, how frequent and how many sheets of paper are you going to shred every day? The answer to this question is the key to knowing the right dust box capacity of your paper shredder. 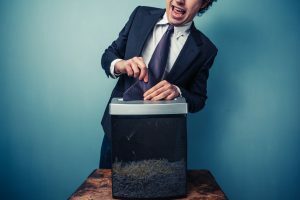 If you get something with a smaller dust box but you shred papers almost every hour, it’s likely that the dust box will be full immediately, making you throw the garbage away much too often. The ideal capacity of a dust box is around 3 liters for small amounts and 10 liters for larger amounts. So don’t forget about checking the dust box capacity! The concept here is simple. You should match the size of the input port to the size of the paper you are shredding. For example, if you’re using an A4-size paper, it is understandable that you must get a shredder that fits the width of the paper. You can eventually get something with a smaller input port size, but you will need to fold the paper in half to let it fit. So why not directly get a shredder that perfectly fits the size of the paper you use at home or in the office instead? We all know that most paper shredders are noisy, but manufacturers today are slowly introducing shredders with less or almost no noise. If the environment you are in has a lower noise tolerance, you’ll need something the does not cause noise pollution. Noisy ones might be tolerable at the beginning, but you’ll get irritated with the noise later on. So better choose a shredder with no or less noise. The cutting fineness of the shredded papers will determine the volume or amount of garbage you will dispose. 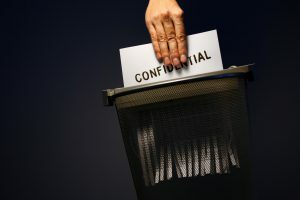 For security reasons, if you shred the paper to prevent people from knowing confidential information written on it, you might secure a shredder with very fine cuts. To know more about the cutting fineness, below are some helpful guidelines. Straight cuts are a product of manual paper shredders. The cuts are vertical, and it comes out like noddles– elongated. Letters can be easily read on these cuts, which puts your security at risk. However, if you’re only shredding papers for a quicker disposal, straight cuts are still doable. This cut is known in electric types. It basically cuts vertically, just like the manual type, and horizontally, which makes the shredded paper tiny and letters are unreadable. This is good for disposing papers that contain confidential information. You should not worry about the price because you can purchase an electric shredder that is cheaper. Micro crosscuts are even better than crosscuts if you’re thinking about security. 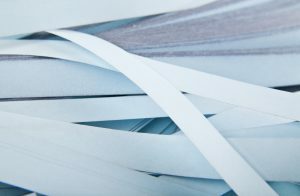 The cut size of each shredded paper is usually around 2 mm by 10 mm. The only issue with this type of cut is that it takes time for the machine to shred. The processing ability of each paper shredder depends on three points – continuous operation, cutting speed, and number of sheets. These three points are important in distinguishing high-quality shredders from low-quality ones. If your typical usage is long because you have lots of sheets to shred, the machine’s continuous operation time is essential. Paper shredders have a time limit of operation to avoid excessive heating. If you hope to avoid this to happen, you’ll need to wait for the machine to cool down before it starts to function again which is all very time consuming. So better get the one with a longer time limit! A paper shredder with a faster cutting speed surely sounds better, but think again. The cutting speed also coincides with the noise, so the faster the machine gets, the noisier it becomes. Also, the faster ones usually produce large cuts, which might put security at risk. So you might need to think about its cutting speed thoroughly if this is the case. Paper shredders also have a limited number of sheets to shred per cut. The ideal number is around 5 sheets, but it would still depend on the indicated number on the packaging. It is important to remember also that exceeding the standard number of sheets may cause paper jams, so better follow what’s on the label or what is advised. Aside from the machine’s features and processing ability, there are paper shredders out there that have other useful functions. Below are some of the special functions you can check on the machine. Some models on the market now have special features like the capability of cutting harder materials. 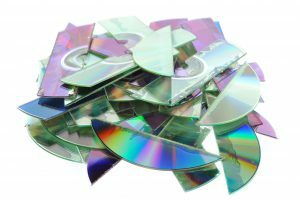 Disposal of old CDs and cards is also another problem, so if you can get a shredder that can also cut CDs and cards, then it would be better. For home use, it is important to get a shredder that has safety precautions, especially if you have kids. There are models that don’t work if the dust box is removed. So if you have very playful kids at home, you can choose models that do not instantly function unless you do something just to keep everyone safe at home. Paper jams may occur at some point, so you will need a machine that has a reverse function to get rid of the jams easily. This functionality is really helpful if you are frequently shredding large amounts of paper. 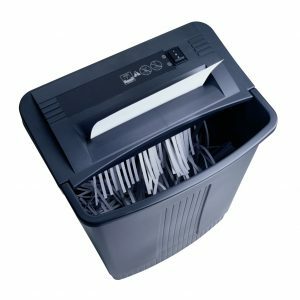 In this section, we will finally give you the list of the best paper shredders you can buy online. This will serve as your reference in choosing the right one for you. 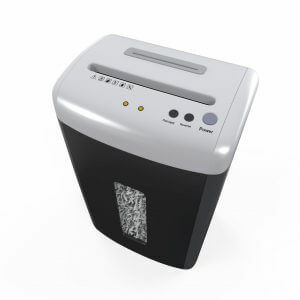 OEM introduces a mini manual portable paper shredder that lets you take control of the cutting. It’s best for people who work at home, students, and office workers. It’s also great because you can carry it anywhere without any hassle. Its small size and clean appearance are just right for everyday use! It also has 4 anti-slip pads placed at each bottom corner to let it stay in place while using it. Its transparent dust box allows you to easily check if it is already full and can contain up to 0.093 liter of waste. 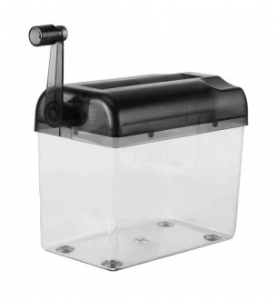 The shredder’s hand crank can also be placed pointing down for an easy and simple storage. This wonderfully made paper shredder is very handy that you can bring it with you anywhere. It’s excellent for families at home, office workers, and even students. Its shredded cuts have that granular effect that’s perfect for several sheets. Just simply turn on the button to let the shredder function without hearing any annoying noise while shredding. It’s the best match for a letter-size paper that you can easily cut. The device uses AA batteries that you can simply dispose of once it is out of power or is powered using electricity through a USB cable. This portable shredder does not have an exact cooldown time though, but it would be safer to let it cool down until heat is no longer felt on the device. However, you will need a trash bin for this as it does not have a dust box for the waste. 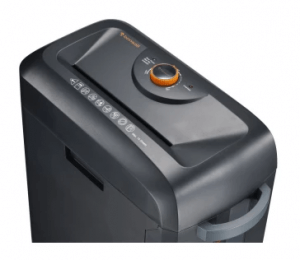 AmazonBasics offers an electric shedder that can cut up to 6 sheets at a time. It can also destroy your old credit cards, which is its advantage over others. It’s perfect for families with students at home who often use paper and office workers who also want to eliminate old credit cards. It can operate for 3 minutes with a 30-minute cooldown, which makes you productive but safe at the same time. The shredder also auto starts after cooldown and has a reverse function that prevents paper jams. You can store a handful of waste as it can hold up to 4.1 gallons. With Aurora’s paper shredder, you’ll definitely cut those wasted papers and old CDs and cards to shreds. 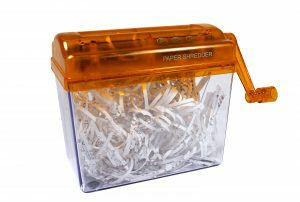 This is a great partner for office workers and even families at home who happen to have a lot of stuff to shred. The shredder can run up to 90 minutes and cut up to 8 sheets at a time at 9.7 feet a minute, but it requires at least 20 minutes to cool down. Its dust box can hold up to 4.5 gallons, which does not get full easily. It also saves space at home or in the office because of its slim and tall design. This paper shredder does not only shred unwanted papers but also completely destroys unused CDs and cards. It’s incredible for families at home who are transitioning from CDs to flash drives for their music and office workers. The shredder can strip cut up to 8 sheets at a time with a rate of 9.84 feet a minute. It can also run continuously for 2 minutes with a 15-minute cooldown that auto starts after. It features a reverse button that helps with paper jams as well. This can cater up to 3.2 gallons of waste too! Its paper feed port fits sheets of up to 8 ¾ wide. The Bonsaii shredder promises to crosscut papers and cards for 10 continuous minutes. It can also shred 14 sheets at once without fail. This is fantastic for office workers and families at home with a lot of trash to take care of. 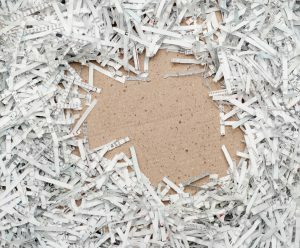 Each shredded paper measures 4 mm by 35 mm, which is completely safe for cutting important documents into very tiny pieces. It does not produce as much noise too because it only operates at about 62 dB, which is very low – close to nothing. The shredder can also cater up to 5 gallons of waste with an auto start/stop technology for overheating and overloading. It can eventually shred 17 sheets at once without any paper jams and can absolutely destroy old CDs and unused cards. It’s best for families with a working office dad who does a lot of paperwork and student children with too many wasted papers that need proper disposal. It can continuously operate for 10 minutes with a 60-minute cooldown. It also assures safety with its auto-off technology when the dust box, which can contain waste up to 0.37 liter, is opened. The shredder saves space at home as well because it’s tall and slim. This paper shredder does not only crosscut 10 sheets but 20 without any paper jams! This is perfect for office workers who are getting pressured to finish shredding wasted papers immediately because it quickens the job. You won’t mind shredding tons of papers as well because its dust box can hold up to 7 gallons of waste. Although this shredder needs 50 minutes to cool down, it is still great because it can operate up to 60 minutes without delay. It has a Touch Guard technology that automatically stops when the sensor is touched. You don’t have to turn it on every time you use it too because it automatically starts once papers are inserted. Our number 2 on the list boasts with its elegant appearance that allows you to shred paper quietly. It’s perfect for office workers and for people working at home who do not want to be bothered with an annoying noise from the machine because it does not create one. The machine features blades made of tempered carbon steel that can cut an A4 sheet up to 5 sheets at a time. It can also shred CDs and cards and automatically shuts off as well when the dustbin, which can hold up to 10 liters of waste, is opened or pulled out. 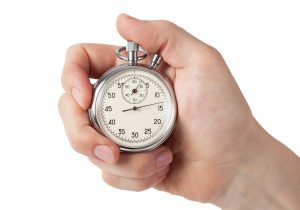 However, the operation time cannot last for 30 minutes because it automatically stops when it starts to heat up, and there is no definite time for it to cool down. You simply have to wait for it until it’s cold enough to use it again. The number 1 on the list proudly features its capability of cutting papers into tiny shreds that can be 10 times tinier than the regular crosscuts. And because of its cutting capacity, your security is safe. This is best for office workers, especially those who are working in government agencies and law offices. You can shred up to 10 sheets at a time and won’t have to worry about paper jams because it has a reversal function. This shredder does not create noise too when it’s running and can operate for 10 minutes with a cooldown time of 45 minutes. With its machine dust box, it allows you to keep 23 liters of shredded paper. Paper jams cause a lot of trouble especially if the shredder does not have a reverse technology. However, you can avoid this scenario if you do your part. 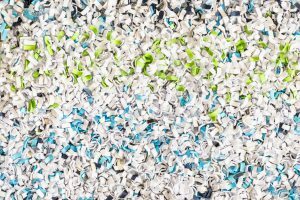 If a foreign material like vinyl is placed in the shredder, it can entangle while undergoing shredding, which can cause paper jams. So better be careful of placing stuff in the shredder. Another thing is glue. If you shred papers with glue on it like a mail envelope, it can possibly cause paper jams. The glue material will stick to the blades of the machine that makes it sticky, giving it a hard time to cut. To prevent this from happening, you can simply cut the glued part and not include it in the shredder. Lastly is exceeding the number of sheets allowed. 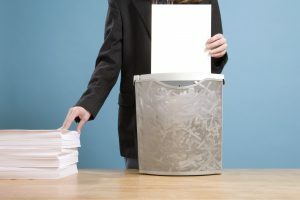 It is understandable, especially in offices, that there are a lot of papers to dispose of, so we are tempted to exceed the maximum of sheets allowed in the shredder. But always think of the trouble of paper jams. It will double your work if you insist on exceeding the maximum number of sheets. 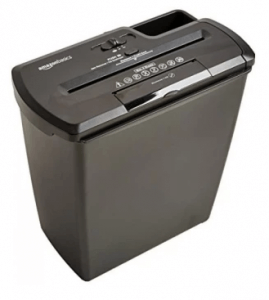 Choosing paper shredders has surely many essentials to keep in mind, from its features to its paper jam measures. But it would be safer to make sure you check what’s necessary before buying one so your time and money will not go to waste. Above all, buying a paper shredder is an investment, so make the best of it!